Oak and Gorski must raise $10,000 by this week (Oct. 1st). They’re at around $9000. It’s pretty much an all or nothing deal. Please help them not fail. Thanks. 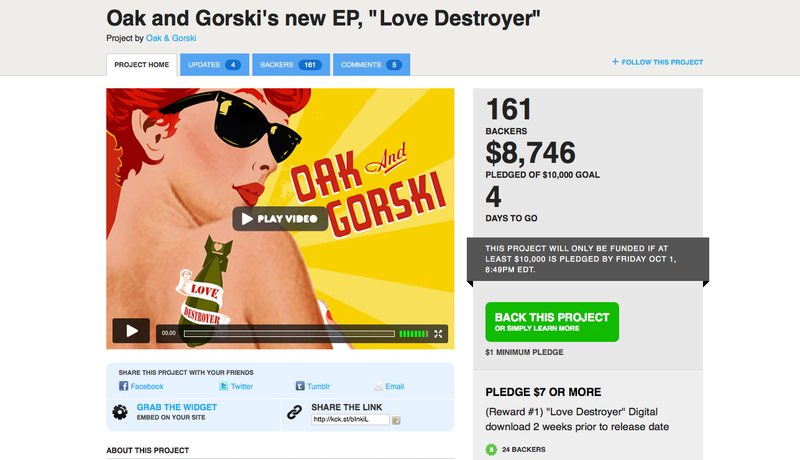 Oak and Gorski Album/Music Video/Press/Tour KICKSTARTER CAMPAIGN. After you make your “contribution,” watch Ed shave his luscious locks and donate it to a charity of your choice. And/or have Ken come to your place during their tour and give you a private cello lesson. (No innuendo. It’s an actual cello lesson.) Hell…BUY Ken’s cello off him if you can. These guys have. no. limits. Nor shame for that matter. Originally published in the Daily Trojan. (No longer archived on the DT website.) This is also the unedited version I originally submitted. I didn’t have any problems with the changes my editors made…except for them altering the entire perspective of the article by changing it from present tense to past tense. (Also, they asked for 1000 words. I gave them 1900…so yeah…cuts/edits obviously had to be made somewhere.) But yeah…this is how it originally felt. Ken Oak, in a white long-sleeve shirt, jeans, and slightly messy hair that covers his face a bit, sits in a dimly lit, small, cozy Los Angeles cafe near Koreatown, nervously fidgeting just a bit. Ed Gorski, his bandmate, dressed in a moderately wrinkled grey button-down, cargo shorts, and a scruffy beard, leans back casually in his seat, one arm hanging loosely behind his chair. 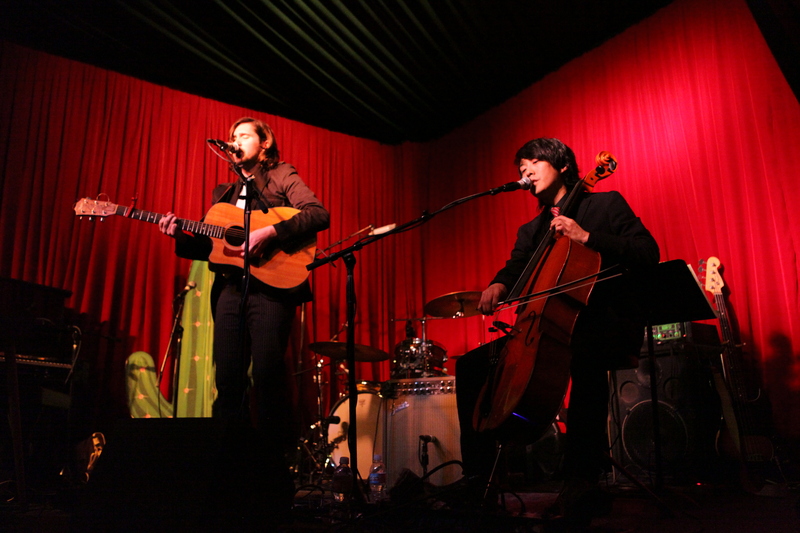 Both have faint but noticeable bags under their eyes — effects of the successful release of their new album at the Hotel Cafe in downtown Los Angeles earlier this month. They are waiting for this interview, and this article, to get started as the cafe barista very slowly prepares the three mochas. The drinks arrive, Oak sits up, Gorski remains in his casual pose, and the interview gets underway.